In order to run a successful club volleyball program, do you need to own a building? Eastside Volleyball Club (Illinois) is going into its 19th year of running a successful program in Central Illinois and we have never owned a facility. Thousands of girls have benefited from our creative court scheduling. Have we looked at opening facilities in the past? Of course the answer to that question is yes. Our current model and process is one that any club can use, as long as they have the initiative and passion for the sport. Some information on our club: Club Volleyball to us is not a business and we do not operate that way. We are a genuine grass roots effort. Our goals are very simple, we want to better the sport of volleyball and afford opportunities to our participants. My wife Diane and I were cornerstones of the organization when we laid the foundation of our idea 19 years ago. To this day we still operate with those principals. Our model for facilities is entwined with our club philosophy so one needs to understand our approach first. This past season we had 35 club teams and 8 Mini Volleyball teams. Our club utilized 6 facilities: 1) RiverPlex is our Primary Hub, 2) Germantown Hills Middle School (SE - 15 minutes), 3) East Peoria High School (S - 10 minutes), 4) Robein Middle School ( S - 10 minutes), 5) Eastside Centre ( S- 10 minutes) and 6) Dunlap High School (N-25 minutes). On a given night I would probably put 50+ miles on my vehicle traveling to the various facilities. Our club purchased net systems for most of the facilities. Our club's practice structure consists of one practice night that is longer and focuses on technique and positional training. The other practice nights are what we consider team nights and teams each have their own court. Friday nights are normally free in many gyms. 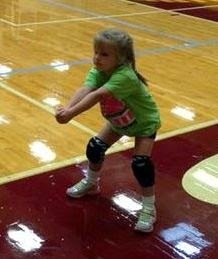 Our Mini VB program has 15-16 players and practices on 1-2 courts. In our consideration of purchasing a facility, we felt that by opening a facility, we would lose some of the passion that we have for our current effort. We would also be tied down worrying about facility finances. We have bargained and negotiated for every hour of time we have used for our program and successful tournament series. One key element is that when negotiating for time, we demonstrate and stress what the community and schools are going to receive from our hard work. The facilities we use are owned by other community partners, such as schools and park districts. Our club program has the same philosophy. The following are a couple tips for a club to operate without a facility successfully. Â· Establish your club playing fees as low as you can. Our club is not set-up as a money making proposition. Our leaders and staff have other livelihoods for income. By keeping fee structures down, communities are more willing to partner with your program. Give back to the community by offering assistance for community projects related to volleyball. Help start other grassroots efforts in the community. We work with schools and park districts on their dead time for our practices. For example we use a local school and bank $X.X per hour per court for practices. The school has nothing in the gym and the staff is present in the school during clean-up, so this income is residual to them. Our primary practice facility that is owned by the Park District has a similar arrangement, except it advances to a different level. We host tournaments at this facility and pay them $X.X per hour per court. They also work and receive proceeds from the admission gate. Our club keeps a running tally on expense to tournaments, and as long as our expenses are covered, we issue refunds to some of the facilities in the form of gifts to schools that have members that are coaching for us. In order to avoid double booking, we try and stay ahead and communicate a lot with facilities so we can be proactive on finding alternate sites when conflicts come up. We normally do not have too many issues since we have a strong line of communication. Most times last minute conflicts can be avoided. You are able to keep costs down by using gym time that is not being used by other programs. Many gyms like to get tenants they can always count on. We don't have to worry about business expenses such as utilities, custodial, etc..
We don't have personal capital financial outlay by funding a building for business purposes. There are ancillary items such as training machines, etc. that the facilities have for their programs we are able to access. For example the RiverPlex has 10 nice Sand Courts that we are able to use for our program. Creative scheduling needs to be done and we visit the schedule often to try and head off duplicate booking. With more communication we do not have to many problems. We dont have the luxury to say, this is our own home, but that doesn't seem important for parents that are wanting to meet a home budget. The distance between practice facilities can be challenging for a managing aspect, but we have a set location for our teams to practice that doesn't fluctuate. When we do not control the facility, you could have to deal with emergency changes that alter our schedule, but again our parents understand, and some having played with clubs that own their own facilities, that aspect doesn't seem important. As long as clubs are good stewards in their community, and partner with local facilities, they should have no problem being successful without ever owning a facility. This model may not work for some, but it has worked with us. Feel free to call me at (309) 635-4179 or email at Director@eastsidevb.comany questions on this idea or others we have used. We are here to help and assist where we can. For more junior volleyball education for club directors and coaches, click here.